The TRIBUTE is scheduled for a 1.5 day targeting Bluefin tuna departing Friday April 12th at 7:00pm. The SAN DIEGO's full day trip finished with 126 Yellowtail and 21 Bonito. 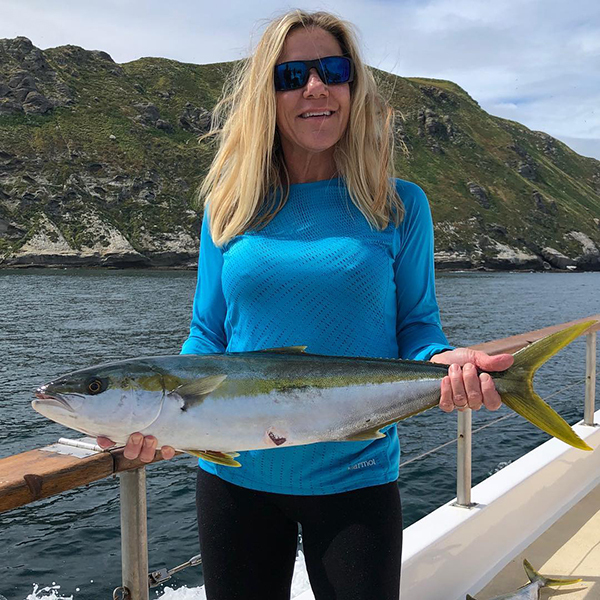 The Yellowtail were biting yo-yo'd jigs, surface iron and fly-lined baits. Sunday's trip is a definite run and departs at 5:30am. A valid passport or passport card is required for all passengers. The PACIFIC VOYAGER's full day charter caught 74 Yellowtail, 10 Vermilion rockfish and 60 Whitefish. Half-day trips depart at 6am and 12:30pm. The NEW SEAFORTH's Saturday morning trip caught 160 Vermilion rockfish, 60 Rockfish and 15 Whitefish. The afternoon trip caught 35 Vermilion rockfish, 40 Rockfish and 18 Whitefish.